In today’s online society, finding the necessary forms to create a LLC takes all of five minutes. However, understanding how Limited Liability Company law differs from other company law is a more complicated process. A Limited Liability Company, also known as an LLC, is a relatively new type of business structure. Limited Liability Companies are a lot more flexible than sole proprietorship or corporations, and combines many elements from the two older business models. Due to the unique nature of an LLC, anyone can easily create their own Limited Liability Company with the legal guidance from an Attorney like Gary I. Handin and associates. One of the major selling points of starting an LLC is that owners and shareholders do not incur liabilities. 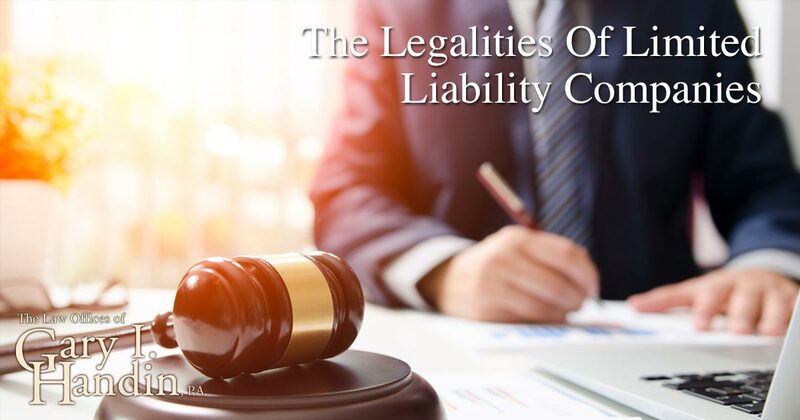 Rather, because the LLC becomes a legal entity of its own, the personal assets of those involved in the business are not at risk and cannot be used as damages for loss or debts. In order to understand how Limited Liability Company law differs from other company law, it’s necessary to understand how other types of businesses function. Broadly speaking, there are two other business models that people primarily use, mainly corporations and sole proprietorships. A corporation also offers the same protection of personal assets of its shareholders as the LLC. Whether a corporation is an “S” corporation or a “C” corporation is any type of corporation. It is a matter of tax status and depends upon how the corporation has elected to be taxed. S-corps cannot have more than 100 shareholders at any point. Shareholders in both types of corporations are free from liability if the business goes under, and which type of corporation can determine which structure allows for paying the least income tax. “S” corporations cannot have any shareholder that is a foreign national. Sole proprietorships leave owners the most vulnerable to loss of personal assets. No separate legal entity is created, so the owner pays income tax on profits made. The owner’s personal assets are also not separate from business assets, and therefore are subject to loss if the business incurs debt. At the end of the day, understanding the ins and outs of company law can be difficult for anyone, particularly people who are interested in starting their own company. It is always recommended to contact a business lawyer such as Gary I. Handin and associates before making any legal business decisions.